It's not a secret that chief executives tend to be paid more than most employees. But for private companies, the exact numbers regarding cash compensation and equity for CEOs and other C-level executives can be elusive. 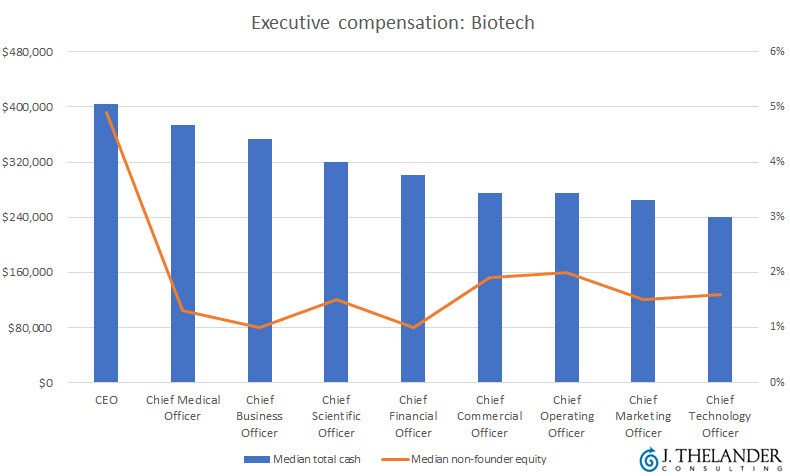 J. Thelander Consulting has the data on compensation for leaders of VC- and PE-backed tech and biotech companies—and some of the figures are surprising. 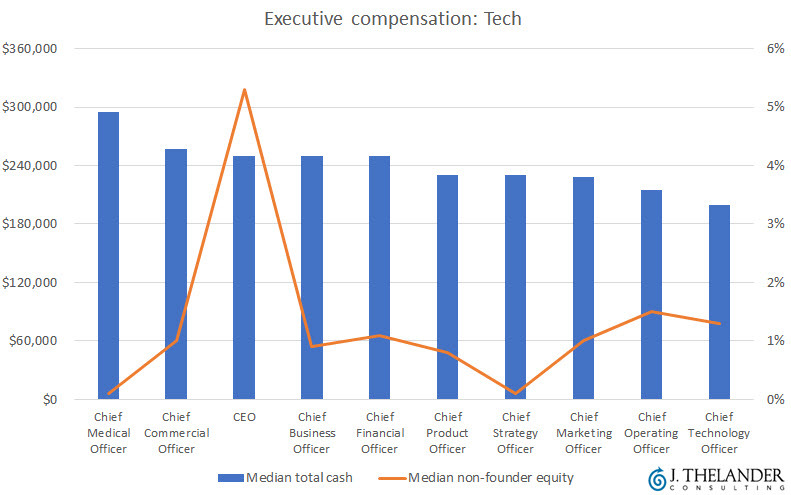 At private tech companies, there are two executive positions that out-earn CEOs in terms of median total cash compensation. "Private companies value more than the CEO position," said Jody Thelander, president of J. Thelander Consulting. "CEOs are not overpaid but rather incentivized by equity for the same end-game as the investors and team." The compensation numbers come from surveys conducted by Thelander. The firm's latest survey involves year-end merit increases, option pools and secondary markets for private companies—CLICK HERE to participate. Everyone who completes the survey will receive a comprehensive report at no charge. This is the last call to participate in this survey, as it closes Thursday. Here's the link to the 2017 Private Company Year End Merit Increase, Option Pool & Secondary Markets Survey. Check our more of our compensation coverage. And visit J. Thelander Consulting for information on how to get more compensation data.